Mercedes Benz Fashion Week is a nearly two weeks away but who's counting. This will be my second season attending as a blogger and helping out through my internship. I will be updating my blog as much as possible throughout the day to keep you guys informed. 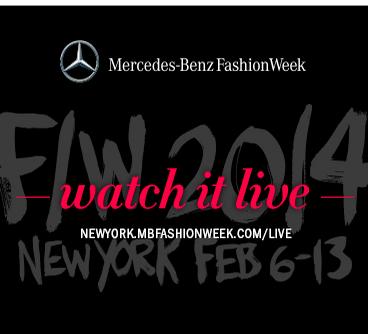 You can also watch all the shows online at NEWYORK.MBFASHIONWEEK.COM/LIVE. During that week, I will be attending Madefw down at Milk Studios. Get ready. Get excited. 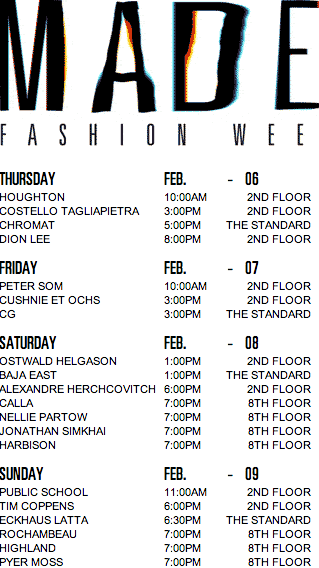 Fashion Week is coming! In the meantime, here's the preliminary schedule for both.